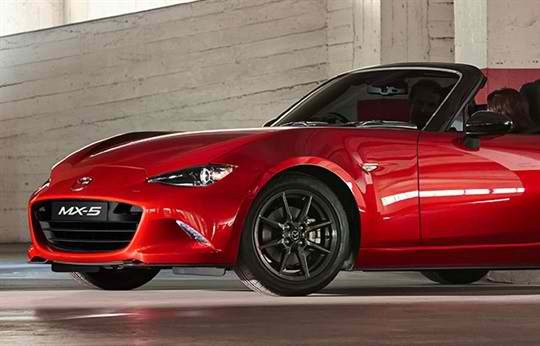 The new Mazda MX 5 offers an extensive safety suite to keep you and your other occupants safe when you hit the open road. 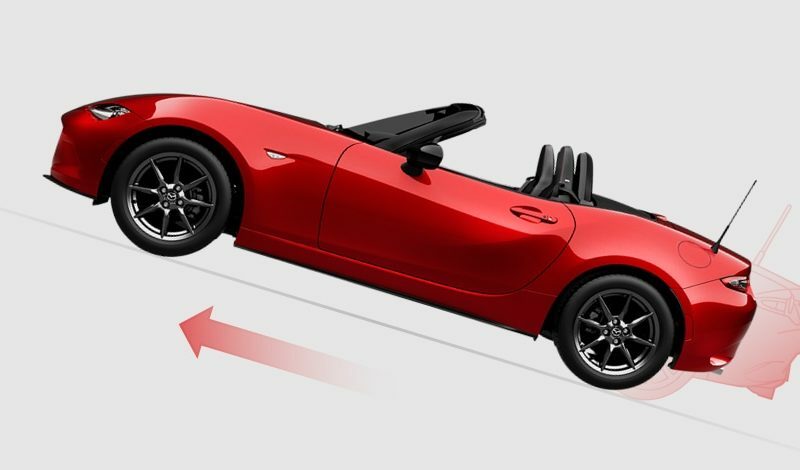 The Rear Cross Traffic Alert can assist you when you’re reversing, warning you if there is a vehicle approaching your MX 5 from either side. 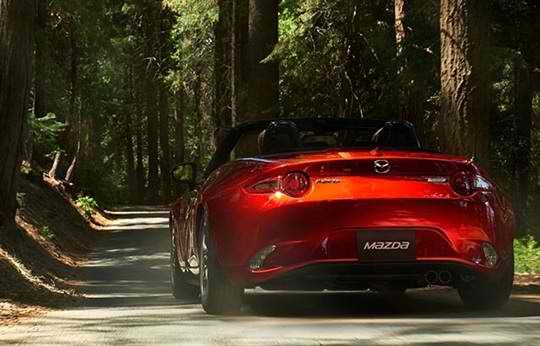 The Mazda MX 5 RF is also equipped with Lane Departure Warning. This system monitors the road markings, alerting you if you start to stray from your lane. 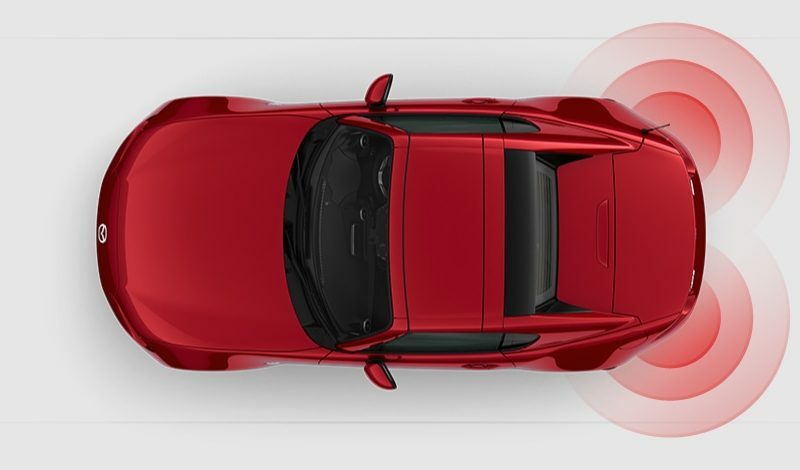 If you fail to take action to these audible alerts, the system will apply corrective steering to ensure your MX 5 is guided back on track. The Traffic Sign Recognition system detects any No Entry, Stop or speed limit signs, projecting them to the Active Driving Display, so you don’t miss any critical information. Finally, the Smart City Brake Support has Pedestrian Recognition. 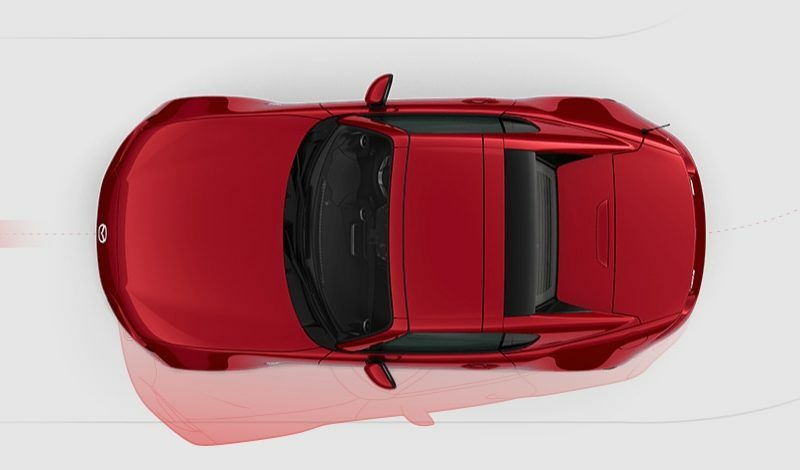 The system monitors pedestrians in front of your vehicle at forward speeds between 4 and 80 kilometres per hour to assess the collision likelihood. When there is a high risk, warnings will be issued and if needed automatic braking. This system also works in reverse speeds between 2 and 8 kilometres per hour. 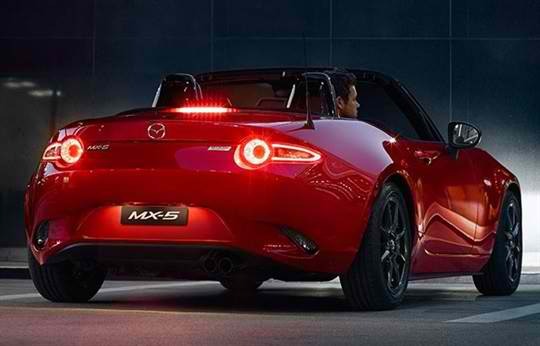 The new Mazda MX 5 range seamlessly combines style and technology to enhance your driving experience. This advanced tech includes adaptive LED headlights to broaden visibility at lower speeds and extend vision at higher speeds. 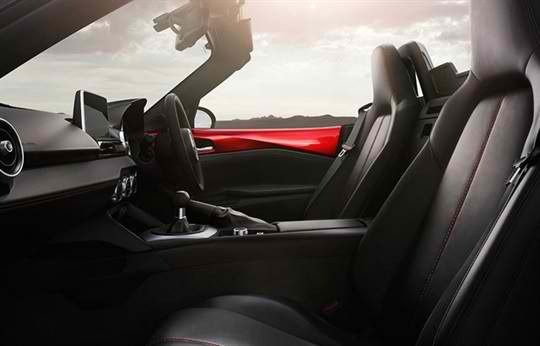 The advanced infotainment system provides smart connectivity allowing you to stay connected with hands free texts, calls and music. The Bose premium audio system enhances your playlists, podcasts and other audio with nine speakers throughout the cabin. 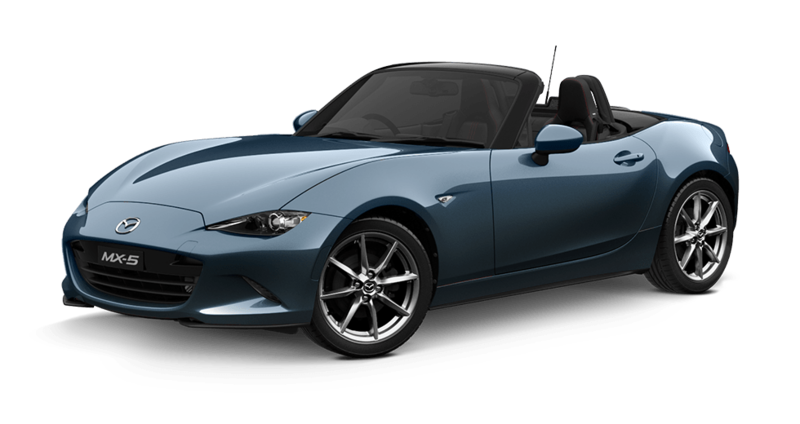 With its low, striking stance and beautifully balanced body, Mazda MX-5 perfectly captures the very essence of our KODO – Soul of Motion design philosophy. The sleek design promotes a greater sense of connection to the open-air, and oneness between car and driver. Quality finishes feature throughout, with all controls intuitively positioned to surround the driver in symmetry for optimal driving position and comfort. The new generation 1.5L and 2.0L SKYACTIV-G petrol engines feature direct injection with a unique piston design to deliver uncompromised power with more effective fuel combustion. 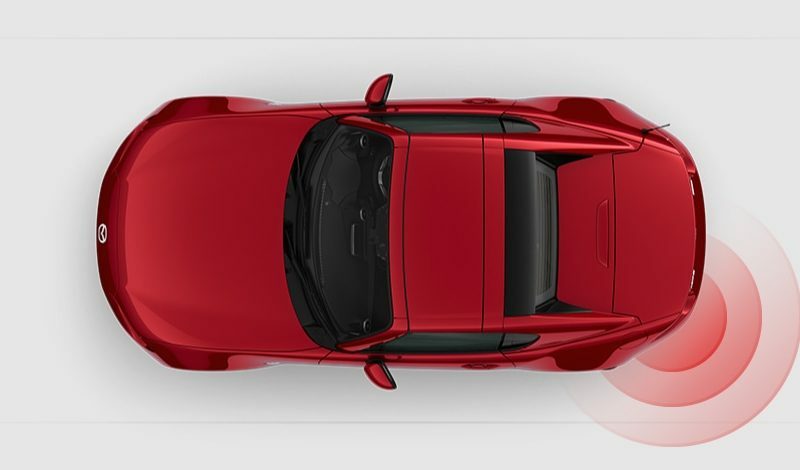 Enhanced with SKYACTIV TECHNOLOGY, MX-5’s reputation for driving pleasure is heightened even further with agile handling that responds with breathtaking reflexes.